At Northfield Family Dental our staff encourage patients to schedule routine dental checkups and cleanings once every six months. Regular checkups are an important part of maintaining and improving the long-term health of your teeth and gums. For patients with specialized oral health needs, dental visits may need to be scheduled more frequently as required. Our staff at Northfield Family Dental wants every patient to enjoy a lifetime of healthy teeth and gums. Over the last few years, compelling research has emerged that has found links between dental decay and disease with a range of chronic long-term health problems. Studies have found that patients suffering from tooth decay and gum disease have a significantly higher risk of developing such chronic conditions as heart disease, stroke, diabetes, Alzheimer’s disease and oral cancer. 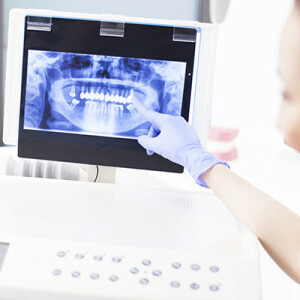 As further research examine these connections, it’s become clear that your oral health plays just as big a role maintaining your overall health as it does your teeth and gums. Scheduling regular checkups and cleanings at Northfield Family Dental ranks as a vitally important part of protecting your long-term oral health by preventing the development of gum disease and tooth decay. Brushing twice a day. Northfield Family Dental agrees with the American Dental Association that patients need to brush at least twice a day – preferably in the morning and again at night. While brushing after every meal would be ideal, your Northfield dentist understands that not every patient has the time or opportunity to brush. If you only have the time to brush twice a day, make sure you brush for at least two minutes each time. Flossing every day. Flossing combines with brushing to provide the kind of thorough cleaning your teeth need on a daily basis. No matter how well you brush, certain areas of the mouth – such as between teeth and below the gum line – just cannot be cleaned adequately without flossing. Failure to remove food and bacteria from these areas of the mouth dramatically increases your risk of gum disease and dental decay. Rinsing with an antibacterial mouthwash. Our mouths have a lot of hard to clean areas that can be easily missed during brushing. To ensure that you remove bacteria no matter where it may hide, consider using an antibacterial mouthwash after brushing. Try rinsing with an alcohol-free brand to prevent dry mouth from developing. There are areas of the mouth, especially between the back molars, that even patients who thoroughly brush and floss every day can fail to adequately clean. Dental plaque and calculus build up in these areas and require a professional cleaning by our registered dental hygienists to ensure the complete removal of this harmful bacteria. At Northfield Family Dental, our staff of experienced and gentle dental hygienists take the time to educate our patients about the best practices for at-home dental hygiene maintenance that will help maintain and improve the health of their smile for a lifetime. We can also provide patients with the best practices for all aspects of at-home dental hygiene, including proper brushing and flossing techniques. Northfield Family Dental may decide that fluoride should be part of your overall treatment. Fluoride treatments re-mineralize teeth, which helps stop the development of cavities and makes your teeth more resistant to acid attacks caused by oral plaque. Suffer from dry mouth due to prescription medications. Salvia acts as the body’s natural defense against harmful bacteria that thrives in the mouth. Certain types of prescription medications – such as antidepressants and heart medications – can cause dry mouth as a symptom. When the body produces less saliva, bacteria and food particles are allowed to remain in the mouth after eating, thereby increasing your risk of dental decay. Fluoride treatments can help to strengthen your teeth against decay and reduce the impact of dry mouth. Have receding gums. 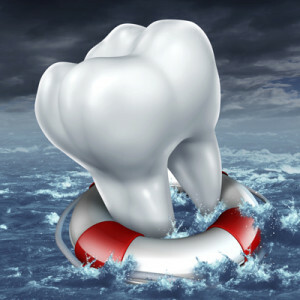 Inflammation caused by gum disease can result in gums pulling away from the base of your teeth. This creates a gap that allows harmful bacteria to attack the delicate roots of your teeth. Fluoride treatments can help remineralize the base of your teeth and reduce the impact of dental decay. Wear braces. Braces can trap a lot of food and bacteria in the mouth if not properly cleaned. This can increase the risk of tooth decay, which fluoride treatments can help to prevent. Multiple Restorations. Patients with multiple existing restorations can greatly benefit from consistent and routine professional application of fluoride. Please consult with Northfield Family Dental to see if you fall into this category of patients that could benefit from a professional application of fluoride. Some areas of the mouth are simply more difficult to properly clean than others. Our back molars, for example, contain a variety of cracks and crevices where food particles can become trapped and linger, resulting in decay and cavities. These hard-to-clean areas make it difficult to thoroughly remove food particles and plaque by brushing and flossing alone. To help protect these area of the mouth, Northfield Family Dental offers the application of tooth sealants that are applied quickly and easily, effectively “sealing” a tooth’s deep grooves and providing protection from decay. 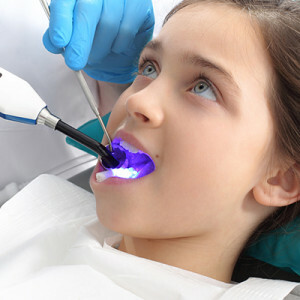 Tooth sealants are an excellent option for younger patients who may not possess the skill or manual dexterity to properly clean all areas of the mouth. Many symptoms can be associated with bruxism, which is also known as teeth grinding, including jaw pain, headaches, sensitive teeth, and ear or neck aches. The effects of teeth grinding can include broken, chipped, or cracked teeth. If you suspect that you grind your teeth during sleep, it’s important to make an appointment at Northfield Family Dental for an official diagnosis. Northfield Family Dental can help you discover whether or not a medical condition may be contributing to this habit. If Northfield Family Dental determines that you’re grinding your teeth, he can provide a custom-fitted mouth guard from a simple impression of your top and bottom teeth. 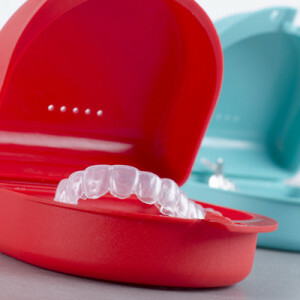 We will take the time required to ensure that your mouth guard fits perfectly for maximum protection. Periodontal disease, also known as gum disease or periodontitis, is a result of infection of the bone and gums that surround teeth. A build-up of plaque that contains harmful bacteria erodes gum tissue, causing it to become irritated and turn red, swell, and bleed easily. 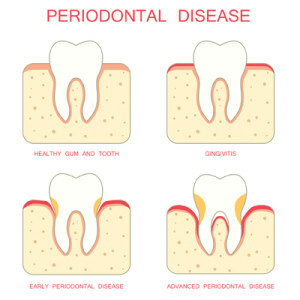 It’s essential for periodontal disease to be treated to prevent further damage that can result in tooth loss. If this condition remains untreated, gum tissue separates from the teeth, causing spaces (also known as “pockets”) to develop between the teeth and gums. Scaling and root planing is a common treatment for periodontal disease. This method allows Northfield Family Dental and a registered dental hygienist to provide a deeper cleaning between the compromised teeth and gums, preventing progression of the disease. As Premiere dentist in Northfield, Northfield Family Dental offer comprehensive dental care in a relaxed environment for patients of all ages. Contact us today get started.